State Rankings. State Funding per student. Yasmin Behbehani had just walked into her third-period health class when her friend asked her if she had seen the list. 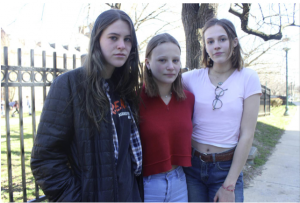 “There’s a list of the girls’ names,” her friend Nicky Schmidt, a fellow senior at Bethesda-Chevy Chase High School in Maryland, said. “And we’re ranked.” Behbehani didn’t want to see the list, or know whether she was on it. She had spent the past four years recovering from an eating disorder, working hard to avoid comparing herself with others, she said. But by her sixth-period class on that Monday earlier this month, a text message appeared on her phone with a screenshot of the list, typed out on the iPhone Notes app. It included the names of 18 girls in the Bethesda-Chevy Chase High School’s International Baccalaureate Diploma Programme, ranked and rated on the basis of their looks, from 5.5 to 9.4, with decimal points to the hundredth place. There, with a number beside it, was Behbehani’s name. Despite good intentions, the school’s racial diversity goal was thwarted, parents were disappointed and no student was well served. 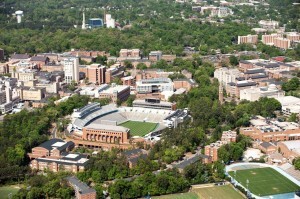 Regarding Heather Mac Donald’s “Diversity Delusions at North Carolina” (op-ed, Feb. 11): A simplified example of the direct counterproductive outcomes of lowered admissions standards for minority STEM applicants was clearly on display at my daughters’ small, rural Virginia middle school in the 1990s. Several parents petitioned the school principal to offer an accelerated math class for seventh-graders who were tested to be ready for a more challenging curricula, math being particularly susceptible to “losing” students who are bored by already mastered concepts. The ascending seventh-graders were tested, and 22 students were shown to be ready for the advanced class. The principal, a very capable woman, then proclaimed there weren’t enough black faces in the group. She lowered the cutoff to achieve the racial quota she deemed appropriate. The expanded group couldn’t cover the more complex material as anticipated, as some of the students were clearly not ready. Despite the good intentions, the goal was thwarted, parents were disappointed and no student was well served. Even more tragic, almost all of the children who were in the two classes because of the lowered standard, failed the final test and had to repeat math class the following year. So much for improving self-esteem. No one ever dared ask this principal why there were so few “white faces” on the basketball and football teams, but of course political correctness quashed that question then, as now. Racial preferences aren’t the solution to black and Hispanic underrepresentation in STEM, they are a cause of it. Admitting students with academic qualifications significantly below those of their peers puts them at a disadvantage, whatever their race. Students who are catapulted by preferences into schools for which they are academically mismatched struggle to keep up in classrooms where the teaching is pitched above their level of preparation. Studies have shown that African-American and Hispanic freshmen in preference-practicing schools who intend to major in STEM switch into softer majors at a high rate once they realize their fellow students are much better prepared to do the work. Had those students enrolled in schools that matched their level of preparation, they would be more likely to graduate with a STEM degree. "we will turn our grief into action"